The woman named, Iconic Facce, can be seen in this mugshot. HARRIS COUNTY, Texas — A woman who calls herself Iconic Facce is in the Harris County Jail charged with robbing a bank in Gulfport, Mississippi. Police say Facce is a serial bank robber who uses the stolen money to pay for plastic surgery in Mexico. 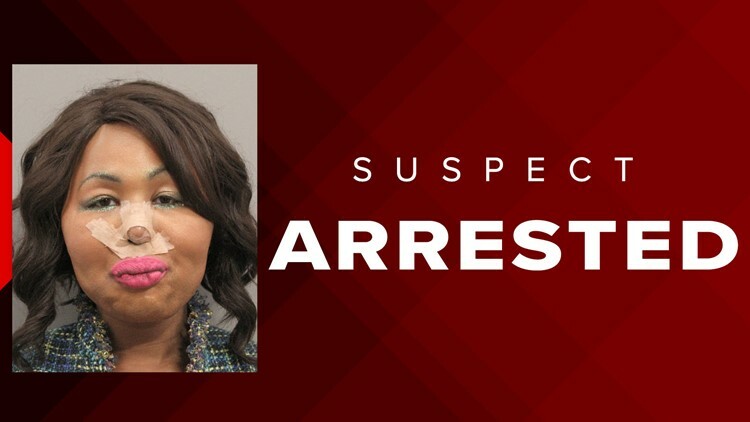 Houston police arrested Facce at Houston's Bush International Airport on March 30 when she arrived on a flight from Mexico. In her mug shot, Facce's face is covered in bandages. The transgender woman was born Jimmy Maurice Lewis, according to the Telegraph newspaper in Gulfport. The newspaper reports Lewis, 37, was charged with a spree of bank robberies in four states in 2007. The banks were in: Plano, Texas; Alabama; Georgia; and Tennessee. In the Plano case, Lewis was arrested in the Los Angeles Airport after a trip to Mexico, according to the Telegraph. Police told the Telegraph they suspect Facce traveled to Mexico for plastic surgery and other procedures as she went through the process of transitioning to a woman.